We loved everything about Retro B&B and plan to return again. Breakfast provisions were amazing. Port and chocolate an unexpected bonus. 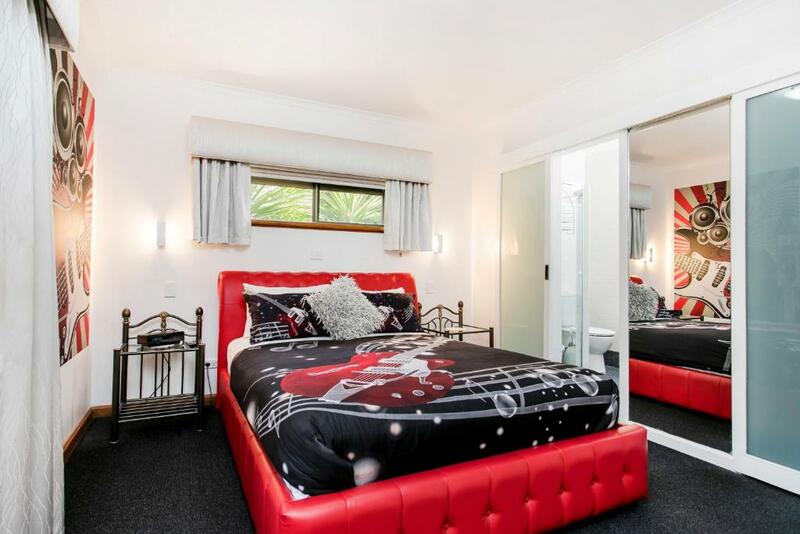 Heaps for room for the family to spread out. Plenty of crockery and cooking facilities to use. Comfortable beds, beautiful bathrooms, everything was clean. Wish we could have stayed longer! Absolutely recommend. Loved the 70’s design, very clean. The breakfast provisions were extremely generous. Perfect amount of space for our group. Mark & Jannine were great hosts. The whole experience was excellent. the hosts Jannine and Mark were friendly and very helpful. Everything from the location , quality of accommodation and supplied breakfast were very good. Would have no hesitation in recommending . Plenty of room & clean,we had a group of 10 people and was a great size house for us. Owners were very helpful. Where to start. From the 70's decor and setting to the six million dollar man pin ball machine you can't fault the property. The pantry was well stocked and the house was amazing. Close to amenities/shops etc and far away enough for privacy. 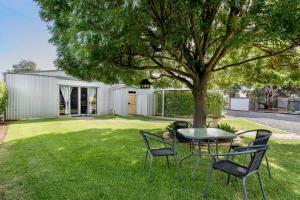 Great place for families to stay and enjoy the beautiful Barossa. Jannine was very helpful from booking all the way to check out. Would not hesitate to stay there again. Lock in a great price for Barossa Retro BnB – rated 9.6 by recent guests! 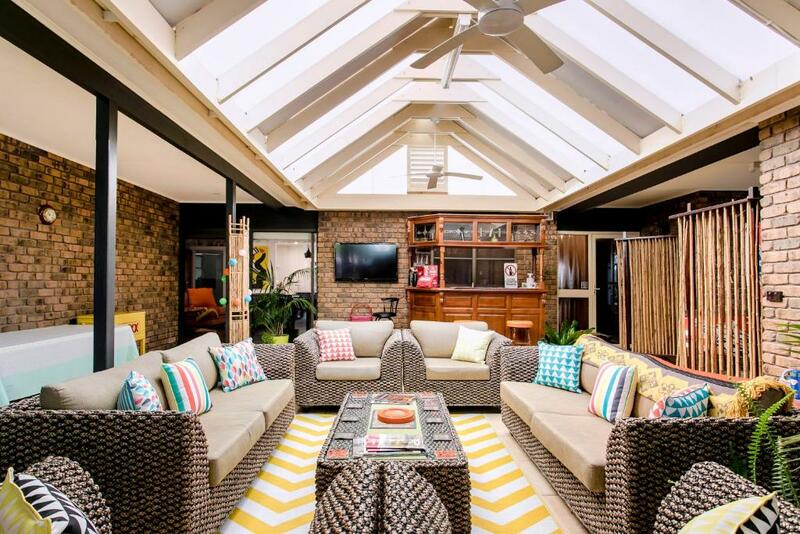 Located in Nuriootpa in the South Australia region, Barossa Retro BnB features a terrace. The property has garden views and is 1.3 miles from Penfolds. 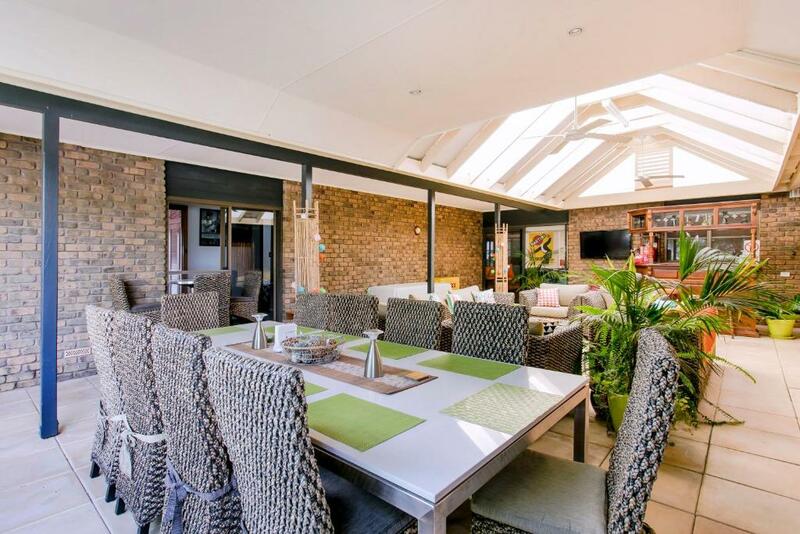 The vacation home features a kitchen with a dining area, a bathroom and a washing machine. A flat-screen TV with satellite channels and a Blu-ray player are available. Barossa Retro BnB has a grill. A bicycle rental service is available at this property. 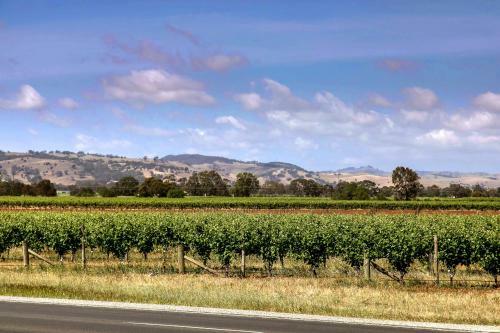 The nearest airport is Adelaide Airport, 54 miles from the property. When would you like to stay at Barossa Retro BnB? This holiday home has a barbecue, stovetop and dishwasher. Situated between Angaston & Nuriootpa on 1.5 acres of land, overlooking vineyards and hills. 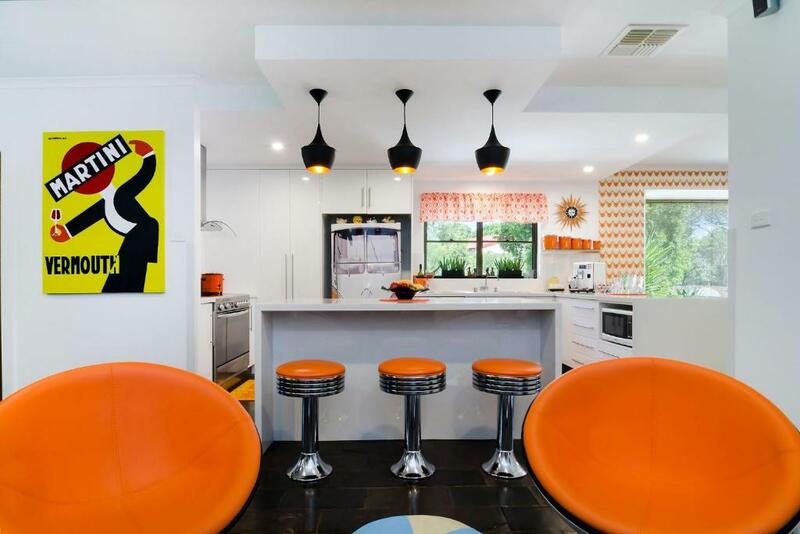 Built in the late 70s comprising of 4 bedrooms and 3 bathrooms, this home is great for small groups, re-unions and wedding guests.Themed in the 70s but with all the mod cons, Yeah Baby!! 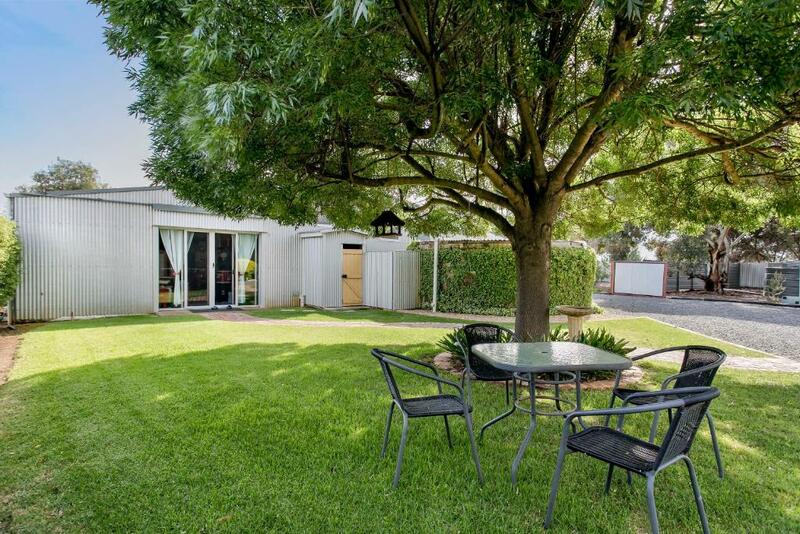 Barossa Retro BnB can accommodate up-to 14 guests with Barossa Old Garage BnB situated on the same property. 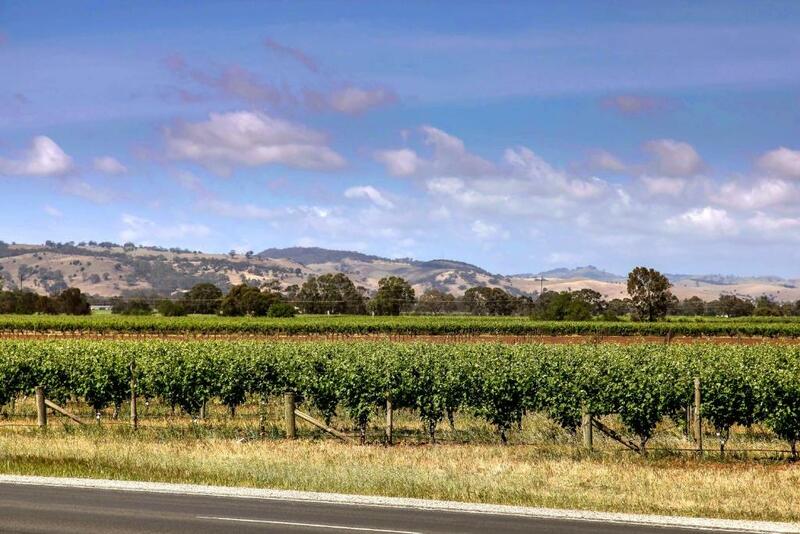 Mark & Jannine own the 2 bed and breakfasts and Barossa Cruisin Tours. Have lived in the area for over 5 years and enjoy meeting our guests. We respect your privacy hence why you have sole occupancy of the property. 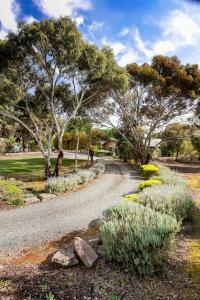 Surrounded by vineyards and close to cellar doors and restaurants. Shopping centre is 1.5kms . A bike and walking trail is a short walk through the vineyards. 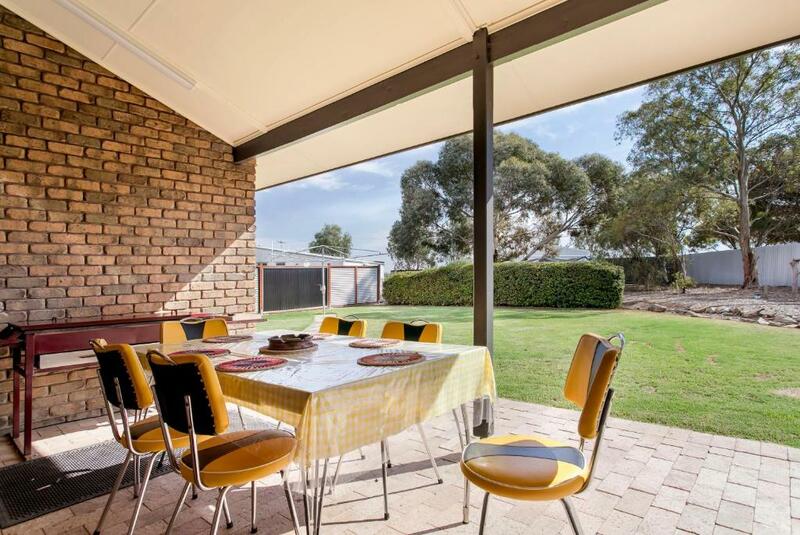 House Rules Barossa Retro BnB takes special requests – add in the next step! A AUD1000 damage deposit is required 7 days before arrival (about USD709.25). This deposit will be fully refunded at check-out, as long as there isn't any damage to the property. Barossa Retro BnB accepts these cards and reserves the right to temporarily hold an amount prior to arrival. Pease note that this property has a strict 'No Party Policy'. Failure to comply with property policies may result in the eviction of guests and the loss of any deposits or payments made. Please note photos shoots on the property require prior approval. Please inform Barossa Retro BnB of your expected arrival time in advance. You can use the Special Requests box when booking, or contact the property directly using the contact details in your confirmation. A damage deposit of AUD 1000 is required. The host charges this 7 days before arrival. That's about 709.25USD. This will be collected by credit card. You should be reimbursed on check-out. Your deposit will be refunded in full by credit card, subject to an inspection of the property. Not a thing to dislike! Our visit was too short!! A fabulous weekend away. Accommodation was excellent and spotlessly clean. Rooms are generous in size, clean linen and plenty of breakfast supplies provided. Thoroughly enjoyed it and the hosts are fantastic and nothing is too much trouble. Would highly recommend. More mugs of the right size that could be used with the coffee machine would have been great. Great thought & effort to provide a unique, high quality accommodation experience. Modern details blended seamlessly with Retro features. Everything required for a short or extended stay were provided. All group members loved the pin ball machine and other game machine. Great bathroom & bath. Some of the pots may need to be change, quite a bit of scratches in them. But many other pots and pans available for choice, and they are clean, so no complains! Everything was awesome! Host was great and the whole stay was wonderful. Could not fully utilize the space actually. There was lots of food and ingredients to prep the food in the kitchen. The appliances in the house were also rather clean.